The debut of Wiki Edu’s new course design tools at Plant Biology 2015. 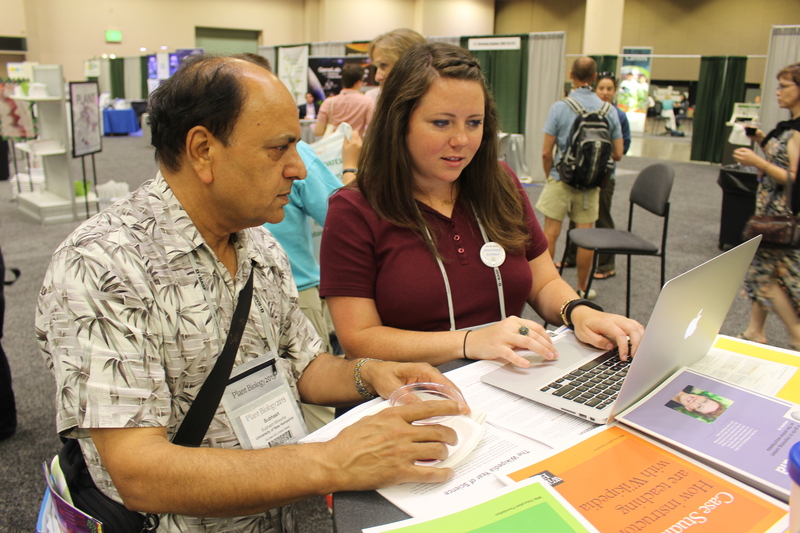 Subhash Minocha (L) reviews course planning resources with Jami Mathewson of Wiki Edu. Consider the robust resources and on-going support for instructors and students. Contact Wiki Edu and sign on (it’s free!) to design a Wiki Edu plant science course tailored to your needs. Help Wiki Edu help others: subject-specific resources will be developed for plant biology once the first 15 instructors are in place. Jami Mathewson, Wiki Edu Educational Partnerships Manager, wrote the original blog post first featured on www.wikiedu.org.